Lohia is well known name in the auto industry. They have built various automobile products till now. One of them is E richskaw. They provides 3 e rickshaw models. One is Lohia Humari Plus. 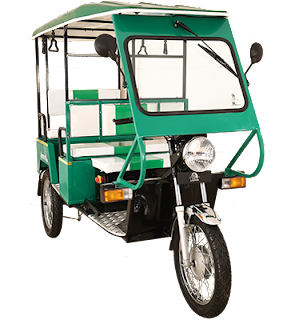 Humrahi is an all electric rickshaw, designed to provide last mile transportation Very easy to drive, enabling the owner to start earning from day 1. Strong built coupled with smart technology ensures low running cost and easy upkeep of the vehicle.